Hms Scrap by Jai Narsingh Imp & Exp. Supplier from India. Product Id 879542. ISRI 201 No. 1 : Heavy melting steel 3 feet x 18 inches. Wrought iron and/or steel scrap 1/4 inch and over in thickness, individual pieces not over 36 inches x 18 inches (charging box size) prepared in a manner to insure compact charging. ISRI 202 No. 1 : Heavy melting steel 5 feet x 18 inches. Wrought iron and/or steel scrap 1/4 inch and over in thickness. Individual pieces not over 60 inches x 18 inches (charging box size) prepared in a manner to insure compact charging. ISRI 203 No. 2 : Heavy melting steel. * Wrought iron and steel scrap, black and galvanized, 1/8 inch and over in thickness, charging box size to include material not suitable as No. 1 heavy melting steel Prepared in a manner to ensure compact charging. ISRI 204 No. 2 : Heavy melting steel. * Wrought iron and steel scrap, black and galvanized, maximum size 36 x 18 inches. May include all automobile scrap properly prepared. ISRI 205 No. 2: Heavy melting steel 3 feet by 18 inches. Wrought iron and steel scrap black and galvanized, maximum size 36 x 18 inches. May include automobile scrap properly prepared, however, to be free of sheet iron or thin-gauged material. ISRI 206 No. 2: Heavy melting steel 5 feet by 18 inches. 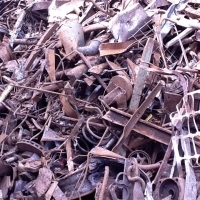 Wrought iron and steel scrap black and galvanized, maximum size 60 x 18 inches. May include automobile scrap properly prepared, however, to be free of sheet iron or thin-gauged material. We would like to know the quantity you need for the first shipment ? How do you prefer we do the packing ? We trust to establish a long-term, steady and friendly business relationship with you through our mutual effort and cooperation. HMS 1-2; Origin E.U. : 30,000 MT-300,000 MT..USD $201 MT Contract; USD $211 SPOT HMS 1-2; Origin E.U. : 300,000 MT+...USD $191 MT Contract; USD $201 SPOT HMS 1; Origin E.U. : 30,000 MT-300,000 MT....USD $221 MT Contract; USD $231 SPOT Broker chains will not be considered. End buyer or mandate only please send LOI/ICPO on buyer's letterhead. Heavy melting steel (HMS) or heavy melting scrap is a designation for recyclable steel and wrought iron. It is broken up into two major categories: HMS 1 and HMS 2, where HMS 1 does not contain galvanized and blackened steel, whereas HMS 2 does. 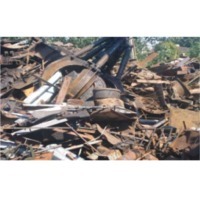 The Institute of Scrap Recycling Industries breaks up the categories further: ISRI 200 (HMS 1): Wrought iron or steel scrap 14 inch (6.35 mm) and larger in thickness. All pieces must be smaller than 60 in 24 in (1,524 mm 610 mm) ISRI 201 (HMS 1): Same as ISRI 200 except pieces must be smaller than 36 in 18 in (914 mm 457 mm). ISRI 202 (HMS 1): Same as ISRI 200 except pieces must be smaller than 60 in Ã? 18 in (1,524 mm 457 mm). ISRI 203 (HMS 2): Wrought iron or steel scrap, black and galvanized, 1â? ?8 inch (3.175 mm) and larger in thickness. ISRI 204 (HMS 2): Same as ISRI 203 except pieces must be smaller than 36 in 18 in (914 mm 457 mm). ISRI 205 (HMS 2): Same as ISRI 204 except it may contain automotive scrap except for thin gauge material. ISRI 206 (HMS 2): Same as ISRI 205 except pieces must be smaller than 60 in 18 in (1,524 mm 457 mm). HMS 1 and 2 are widely traded, particularly in the western hemisphere. Both HMS 1 and 2 comprise obsolete scrap only - iron and steel recovered from items demolished or dismantled at the end of their life. Because both grades guarantee a minimum piece thickness at least 14 inch (6.35 mm) for HMS 1, and 18 inch (3.175 mm) for HMS 2 consignments have a high density. Both also have defined maximum dimensions (usually 60 in 24 in or 1,524 mm 610 mm), and should be prepared to facilitate handling and charging to a furnace. This density, sizing and preparation makes for efficient furnace operation by minimising the time to charge enough scrap for a full melt. In contrast, thin mixed scrap greatly increases charging time, cutting furnace productivity. Variations on maximum piece size are covered by ISRI (North Americas Institute of Scrap Recycling Industries) codes. HMS is usually traded as a blend of 1 and 2, either a premium blend (80:20) or lower grade mixes (70:30) and (60:40). Other major heavy scrap grades include Japanâ? ?s H2 and A3 from the CIS. 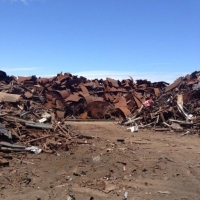 Scrap consists out of a mix of mill scrap (stampings, cuttings, bars, etc. ), industrial scrap (nuts, bolts, misc. pieces, etc), auto and truck frames and bodies, railroad scrap (wheels, axles, parts of locomotives and carriages, etc. 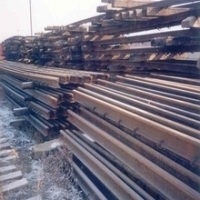 ), ship scrap (fittings, plate pieces, parts), construction scrap (plate, bars, angle pieces, rods, steel pipe, etc. ), and miscellaneous commercial scrap (appliance casings, frames and parts, etc.). So, if you are interested in our offer, please send me LOI with the name of our company with the brief details, complete with quantities / specifications of packaging / delivery time / destination / payment method / basic banking information; after which I will send you the best offer on our part, if you then agree, you will go on to continue with a further contract and provide a long-term process with your company. We can provide HMS 1 & 2 (80/20) scrap metal from Europe. Payment terms - LC at sight after inspection Minimum quantity - 50 MT Maximum quantity - 200 MT If interested please send us a LOI stating your requirement. Pics will be provided. Only serious buyers please contact. 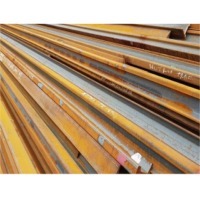 We offer Used Rails and HMS 1 & 2 at very low price with Payment at Destination. CIF Price is below USD:208 PER MT and payment is at Destination Port. Search More Like "Hms Scrap"